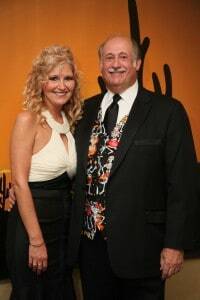 Guests had to check their calendars to make sure it wasn’t Cinquo de Mayo when they entered the ballroom at the Westin Convention Center for Monongahela Valley Hospital’s twenty-third gala — “A Mexican Fiesta” — on May 21, which was sponsored by the Mon-Vale Health Resources Fund Development Committee. A mariachi band played in the room that was blazing with vivid colors to set the mood for MVH’s celebration of growth and new beginnings. One of the many highlights of the festive evening was when Louis J. Panza Jr., CEO of MVH, announced the kickoff of the Hospital’s capital campaign to the more than 500 supporters in attendance including, elected officials, physicians, staff and friends of the hospital.